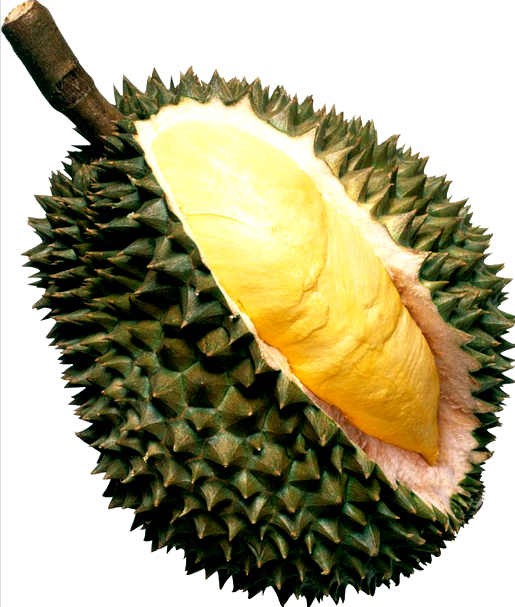 The humble Durian fruit, what’s the fuzz about it? Heroes and villains alike share the same passion and hatred for this fruit. 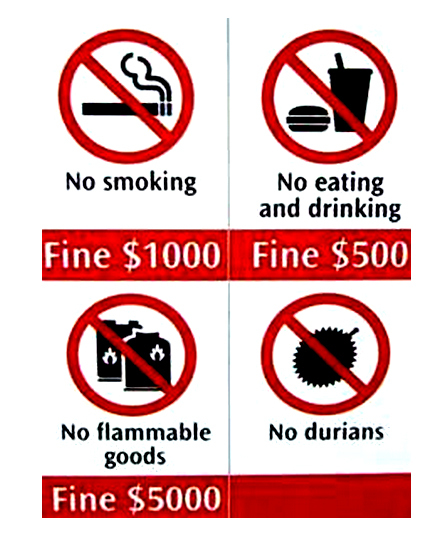 Let me start by showing you the No Durian Signs found everywhere in Singapore. 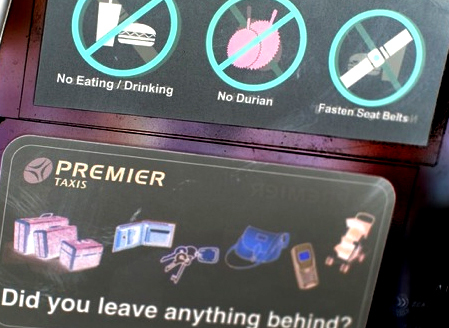 On buses, hotels, transits,etc. Why that much attention on this fruit? Is the smell really that bad? I know for a fact that Durian is NOT the only smelly stuff around . 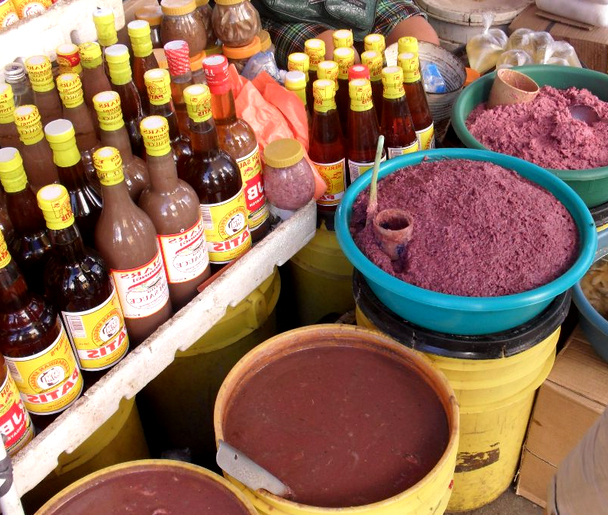 There is also the bagoong or rotten fish paste. The putrid smell straight from the bowels of the earth. That’s one thing I would like to point out. 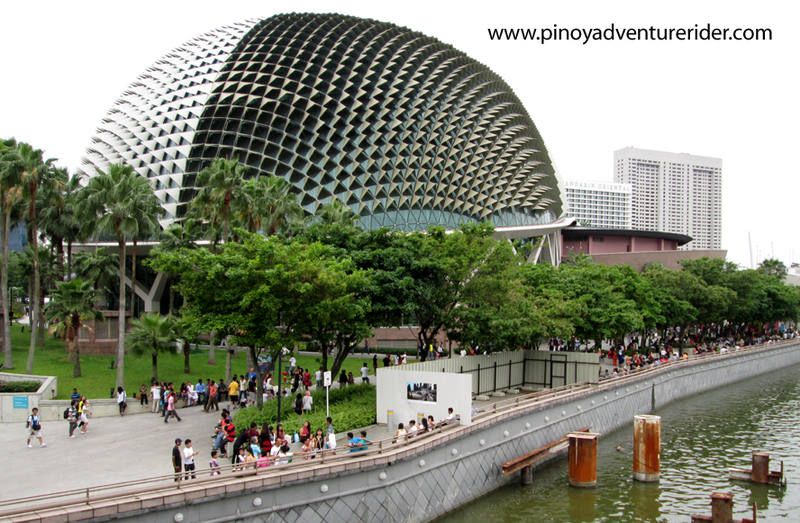 On the other hand, lo and behold, a building in Singapore named ESPLANADE designed like a Durian is well loved and adored by locals. 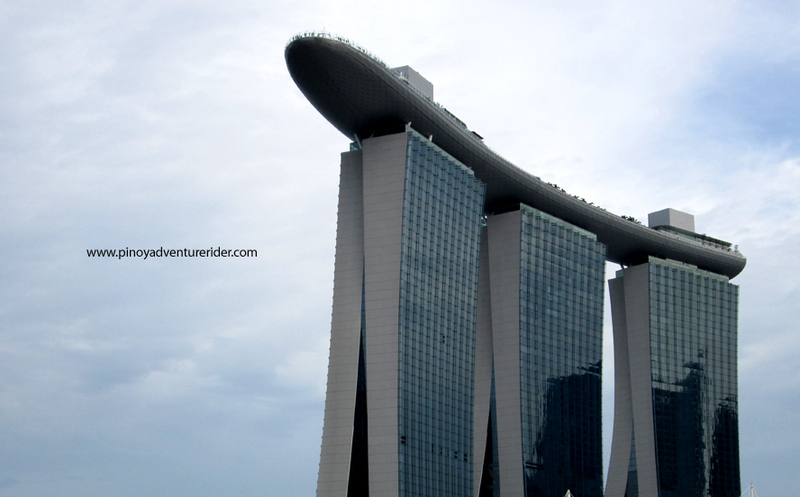 I am pretty sure this building design pays some respect to the Durian fruit. I hanged out a few times at the local fruit stall in Semei. I saw the people loving it like chocolate. They eat it with passion. I saw a seller telling a buyer to buy his Durian because it’s creamy and milky. I mean, if I want a milky creamy taste, I could get a vanilla ice cream, right? Still confused, I went to the best Durian store here in Semei. I even tapped a Durian expert Lito, so as to make sure I am buying a perfect Durian. Not over riped or under, coz I want to make sure of my analysis. By the way, I am not affected by the so called bad smell of Durian. For me, Durian is not smelly. Gathering all my strength and summoning all the energies of the universe, I took my first bite at a prime Durian. The texture is like…poo. This could be bad but I would like to persevere and understand this mystery. I tasted onions and garlic, my mind cannot process it. I rested. The next day, I tried again. This time, It tasted like I am eating the changed oil from my motorbike. Fail. Catastrophic failure. Like a hero coming out of a smoke screen, my bike buddy and expert on all things Durian, Lito arrived at the scene. 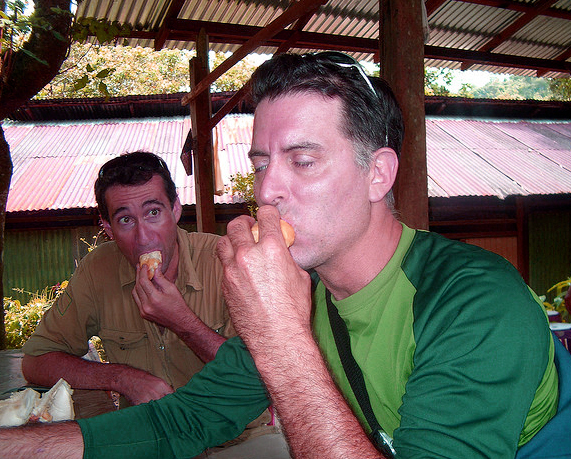 He ate the rest of my Durian like a nectar of the Gods. He loves it dearly like most Chinese, Malays and Filipinos from Cebu. Expert Lito told me that my palate will open if I eat some more and learned to like that Wasabe taste. 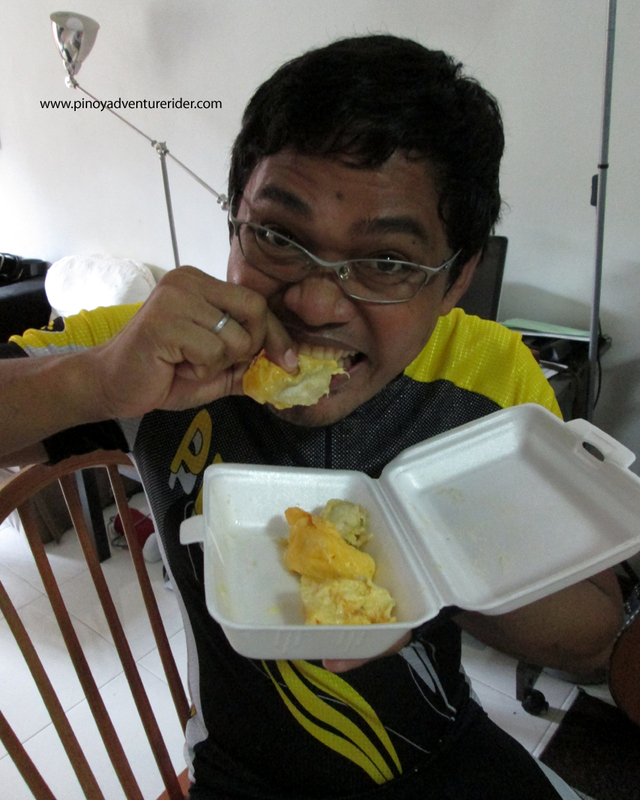 My brother-in-law Joy told me that Durian has no fruity taste. Its taste is for dairy products. Oh, well. My journey to the Durian realm will not happen soon. Anyway, I will try and try. I hope Andrew Zimmer will try again too. This is PINOY ADVENTURE RIDER reporting from Durianland. I touched down Tuesday morning, August 6.2013. 9 AM. The pilot did a smooth landing.